The following terms and conditions will be deemed to have been accepted by the User on usage of the website http://www.webztech.in . You are requested to read them carefully before you use the services of this site. This Site is offered to you conditioned on your acceptance without modification of the terms, conditions, and notices contained herein. By using the Site, you agree to follow and be bound by the following terms and conditions concerning your use of the Site. webztech may revise the Terms and Condition at any time without notice to you. As a condition of your use of the Site, you will not use the Site for any purpose that is unlawful or prohibited by these terms, conditions, and notices. You may not use the Site in any manner that could damage, disable, overburden, or impair any webztech Site or the network(s) connected to the Site or interfere with any other party’s use and enjoyment of any Site. You may not attempt to gain unauthorised access to any Site, other accounts, computer systems or networks connected to the Site, through hacking, password mining or any other means. You may not obtain or attempt to obtain any materials or information through any means not intentionally made available through the Site. webztech shall have no responsibility for any damage to User’s computer system or loss of data that results from the download of any content, materials, and information from the Site. 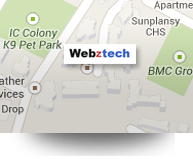 webztech may change or discontinue any aspect of its website at any time, including, its content or features. webztech reserves the right to change the terms and conditions applicable to use of the Site without any notice. For all our website design plans: Client need to pay 50% advance & remaining cost after next month. We charged stage wise for big budget portal development. Client need to provide content of website in word document, transparent logo (png format) and images. For eCommerce website : Client need to provide product images , description , price and other information related to product or company in word document. If client provide content in hard copy instead of soft copy then they have to pay extra as per content size. If client delay in providing content and anything related to website then it will also delay in project completions. And client have to pay unpaid amount after 30 days of first payment. We provide all information on phone. It doesn’t require to meet personally for small project, But If client want to discuss personally then we charged onsite consultation. 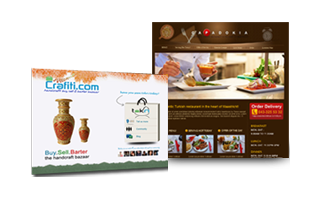 Rs 250 extra for extra new page creation in same inner page layout as per plan selection. 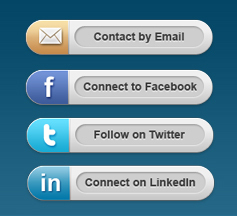 We provide free shared hosting with our Web design and development plan. You have to renew hosting & domain after one year. Domain renewal charge( After 1 year): Depend upon domain selected by client. We provide admin details for our Ecommerce & CMS plan where client can add pages or edit pages by themselves. for website safety we are not providing cpanel or FTP to clients who are hosted with us. Those who want cpanel & FTP details or changed hosting service in first 2 years , we can give them by extra cost: Rs 3500 as we are giving free hosting for first year. Once we handover cpanel to client then its client responsibility to maintain website. For buying any our development plan, We believe you are agree with above terms and condition. We also provide cloud hosting. Our cloud hosting charge start from Rs 1200 per month. Copyright © 2008-2018 Webztech. All rights reserved.